The Confederate troops advanced at 4:00 pm on November 30, 1864 as the daylight faded. They were serenaded by military bands as they advanced toward Franklin, Tennessee. They crossed open fields spreading in an arc from the Harpeth River on their right flank to Carter’s Creek Pike on the left flank. They had marched all the way from Atlanta, Georgia after evading the Union forces commanded by General William T. Sherman. Sherman’s troops laid a 50-mile wide swathe of destruction through Georgia on the way to South Carolina, but managed to lose track of the opposing army. Confederate General John Bell Hood marched back to Tennessee hoping to either draw the Union forces after him or to reclaim Tennessee for the South. Tennessee had been under Union control since 1862. “What a dear, delightful place is Charleston,” proclaimed Mary Chesnut, in March 1861. Mary loved the nightly dinners and dances while her husband was a delegate to the secession convention. South Carolina became the first state to secede from the U.S.
Mary Boykin Chesnut was born into a South Carolina family that owned plantations in South Carolina and Mississippi. Her father was a prominent Nullifier. Nullifiers argue that the Constitution’s 10th Amendment reserves all powers to the states unless specifically assigned to the federal government; and therefore federal laws don’t apply to a state without the state’s consent. A polymath is an exceptionally educated person; someone who is an expert in many subjects. Maimonides is the perfect example. He was good at everything. Maimonides was a scientist who studied mathematics, astronomy, and logic. He was a philosopher who wrote treatises on ethics and politics. He was also a lawyer and a medical doctor, serving as the personal physician to the Muslim caliph in Cairo. In addition to these secular topics, he was a rabbi who still influences Jewish law. Each generation faces a major political or social upheaval that forever shapes their view of the world. For baby boomers, that event was the Vietnam War. How did we get involved in that mess? America’s involvement in Vietnam started after World War II, as the Cold War began. Vietnamese nationalists, like Ho Chi Minh, helped the Allies defeat the Japanese occupation in the expectation that Vietnam would become independent. They were wrong. The line between a freedom fighter and a terrorist depends entirely on one’s point of view. Freedom fighters are heroes; terrorists are despised. Today, there are still arguments about which category best suits Michael Collins. Fedor von Bock was tall, slim and stood ramrod straight. He was a cultured, educated man who spoke four languages. He believed the highest honor for a soldier is to die in service to his country. How did such a thoroughly decent man become an enabler of Adolf Hitler and the Nazi regime? By being an average man. Erwin Rommel is an international hero today. His military exploits in both World Wars are studied by professionals and amateurs. He gave Hitler some spectacular military victories, but is also a hero of the anti-Hitler resistance. How it happened is an amazing story. If Beale Street could talk, it would tell stories about Robert Reed Church. He once owned virtually all the property in the Beale Street District, the heart of black Memphis. How Robert achieved that remarkable feat is an American tale of grit, stubborn determination and luck. Each year as Valentine’s Day approaches, thoughts turn to romantic love. Everyone is searching for their perfect match so that they can live happily ever after. Victoria Woodhull’s quest for true love led her to challenge every social convention from marriage vows to prostitution to women’s suffrage. “Good God! It’s a woman”, exclaimed the young French officer upon meeting Marie-Madeleine Fourcade. He wasn’t the only person surprised upon first meeting her. Marie-Madeleine was a 32-year-old mother with two small children in 1940. Yet she eventually led a Resistance network that operated from Normandy to North Africa. One of the military innovations of World War I was air warfare. When the war started in 1914, the military establishment in every country dismissed aircraft as a weapon of war, but a few younger officers envisioned the possibilities. One of those young officers was Oswald Boelcke. Boelcke was born in 1891, the third of six children born to a school headmaster. With his parents’ permission, he joined the Prussian Cadet Corps in 1911. While serving with a communications unit he noticed the nascent air corps, and by 1914 he was a licensed pilot. In 1914, Oswald and his brother Wilhelm, also a pilot, were flying observation missions over enemy trenches. Oswald quickly realized that planes would be suitable for aerial combat and occasionally disobeyed orders by engaging in dogfights with enemy planes. His aggressive style earned him the Iron Cross (Second Class) in October 1914 and First Class in February 1915. In April 1915, he was transferred to a unit where he met Max Immelmann. They created tactics for aerial combat which are still studied and used today. Immelmann is best known for the “Immelmann loop” which involves rolling to escape an enemy plane and then turning to counterattack the enemy from the rear. Boelcke created a list of seven tactical maneuvers known as the “Dicta Boelcke.” The seventh dictum says that “foolish acts of bravery only bring death” and advocates working as a team. It’s one of the earliest examples of the principle of formation flying and massed attacks by aircraft—both now standard procedures. In January 1916, Boelcke was awarded the Ordre Pour le Merite or Blue Max, the German equivalent of the Congressional Medal of Honor. He was 24 years old. In a letter to his parents, he described wearing the Blue Max as “worse than having a warrant out against you” because everyone stared when seeing such a young man wearing the ultimate military honor. In the summer of 1916, the German air corps was reorganized into Jadgstaffeln (called Jastas) and Boelcke was given command of Jasta 2. On October 28, 1916, in an aerial dogfight, Boelcke accidentally touched wings with another pilot from his Jasta. Both planes crashed and Boelcke was killed by the impact. His Jasta was renamed in his honor and his protégé, Manfred von Richtofen (a/k/a the Red Baron) took command until 1918 when he was killed in a dogfight. When the war ended in 1918, Jasta Boelcke was led by a young flyboy named Herman Goering. 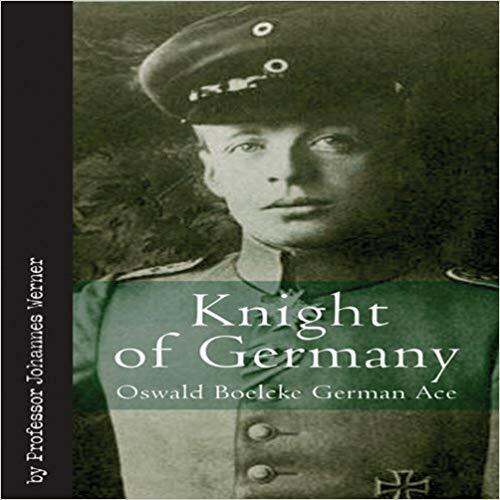 For more information about Oswald Boelcke, see Knight of Germany by Professor Johannes Werner (2009 translation by Claude W. Sykes for Casemate). Professor Werner’s original 1932 text was written at a time of severe social and political turmoil in Germany. His advocacy of patriotism and German nationalism may be a bit jarring for some readers. Want to receive this blog straight to your inbox? Sign up for my mailing list. Hollywood movies and TV shows often depict lawyers as opinionated blowhards who snivel with fear when the going gets tough. That stereotype doesn’t apply to a guy named Roger. Roger J. Bushell was born in South Africa in 1910 to English parents who had moved so that his father could take an engineering job with a mining company. Bushell’s family was financially able to send him to an English public school and then to Cambridge University. Bushell was broad-shouldered, just under six feet tall, and enjoyed sports, particularly skiing. In 1934, Bushell became a barrister. Litigation attorneys need to think quickly under pressure and argue persuasively. They also need to organize swathes of information into a coherent story. These skills would come in handy when Bushell became a prisoner of war (POW). Bushell joined the Royal Air Force (RAF) in 1939 when World War II began. On May 23, 1940, his plane crashed near Boulogne, France. Unfortunately, he landed in territory that had already fallen to the Nazi invasion of France and he became a POW. As a POW, Bushell became a serial escapee. Once, he reached the Swiss border before being caught. On several occasions, his litigation skills enabled him to talk his way out of severe punishment after recapture. Eventually, he ended up at Stammlager (Stalag) Luft III at Sagan, Germany; now Zagan, Poland. By the time Bushell arrived at the camp, the senior officers had concluded that so many POW’s were trying to escape they were literally tripping over each other, causing all efforts to fail. So the senior POW’s decided to organize all escape attempts in the camp in the hopes this would increase the chances of some of them succeeding. Bushell was a leader of the escape committee due to his forceful personality and organizational capabilities. He created an “on-boarding” process to assess the skills of each new POW and assign them to an escape team. Teams sewed civilian clothes, made maps and compasses, forged documents, and dug tunnels. His ability to argue persuasively helped convince the escape committee to support a massive escape. His plan required digging three tunnels simultaneously so that if one tunnel was discovered they could continue with the other two. His plan also envisaged 200 POW’s escaping on the first night with additional escapes on succeeding nights. 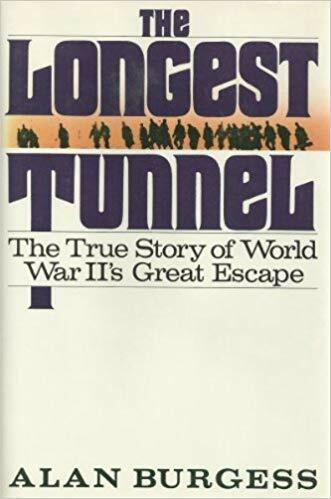 During the night of March 23 - 24, 1944, seventy-six men crawled through a tunnel, surfaced beyond the wire, and set off in groups of twos and threes before an alarm sounded. Three eventually made a “home run” to England. The remaining 73 escapees were recaptured and 23 were returned to the Sagan camp. But 50 were designated for special treatment on the orders of Adolf Hitler who wanted to retaliate against the “terrorfliegers” bombing Berlin and other German cities. Bushell was one of the 50 escapees handed over to the Gestapo to be executed. Roger Bushell was considered a gifted litigator by his pre-war colleagues. He was also a brave and resourceful fighter during the war. Today, experienced skiers in St. Moritz can try their luck on the “Bushell Run," a course where he set a pre-war speed record in downhill skiing. Intrepid tourists can visit the camp ruins to see a memorial to the 50 murdered escapees. Another resource is a November 2004 documentary broadcast on the PBS Nova series, which includes an archaeological dig of the tunnel and interviews with survivors. The most widely read book on Stalag Luft III is The Great Escape by Paul Brickhill (1950). For an in-depth account of the search for the executioners, see The Longest Tunnel by Alan Burgess (1990). Jonathan F. Vance’s A Gallant Company (2000) includes stories of Roger Bushell’s pre-war career as a lawyer and an epilogue with information about the survivors’ post-war lives. The sun shone brightly on Christmas morning 1776 as George Washington plotted his next move. The American Revolution was less than a year old and appeared doomed. The situation could scarcely have been worse. Washington’s army was a defeated mess. In less than a year, the Continental Army and its supporting state militias had been chased out of Boston and New York City. The British chased them across New Jersey and were closing in on Philadelphia. 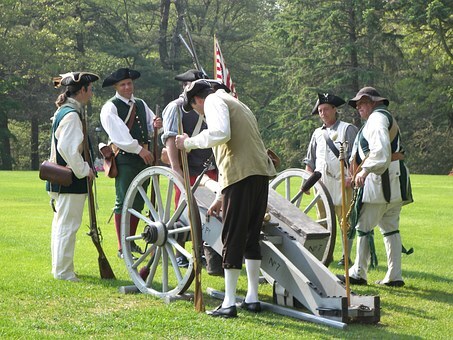 In anticipation of the British attack, the Continental Congress fled Philadelphia sinking the currency backed by the Continental Congress, making it difficult to buy weapons and supplies for the army. Washington knew he had about one week to save the entire rebellion. At the end of December, most of his army would disappear when their short-term enlistment period expired. Recruitment efforts floundered because few people wanted to enlist in a lost cause. Success in war depends on luck as much as good leadership, and Washington’s luck was about to change. First, the British decided to call off their advance and settle into winter quarters. Second, the British believed the Americans were inferior fighters compared to their well-trained, well-supplied professional army. As soon as the weather improved, they planned to crush the rebellion. While the British got warm and comfortable at various fortified encampments in New Jersey, Washington dreamed up a complicated plan to attack them. He chose Trenton because it was isolated from the other British encampments and was close to the Delaware River. Trenton was held by Hessians, the 18th-century mercenaries preferred by any monarch who could afford to hire them. Washington’s plan was complicated because his troops had to cross the Delaware River at night, then march eight miles to Trenton and simultaneously attack from two directions. Around 2 p.m. on Christmas Day as the Americans marched toward the river, a winter storm blew in. Many of the troops walked barefoot through the freezing rain and snow because they’d worn out their boots on the long marches earlier in the year. Across the river, the Americans reformed into their battlegroups and began lugging their cannons toward Trenton. The atrocious weather delayed their arrival from dawn to about 8 a.m. on December 26th. The popular myth is that the Hessian troops were taken by surprise after having too much to drink during their Christmas celebrations. Actually, the Hessians were sober and had been warned about the attack. But they made the same mistake as the British; they believed the American army was inferior to them and besides, no one would be crazy enough to attack at night in a snowstorm. At about 8 a.m. on December 26th, the Americans simultaneously attacked Trenton from the north and the south. Trenton was unusual in that it had been built on a grid. The perfectly aligned streets provided an excellent field of fire for the American cannons and sharpshooters. Some Hessians escaped to the edge of town but were attacked before they could counterattack. During this brief melee, the Hessian commander was mortally wounded and the Hessians surrendered. The Hessians lost 40 killed, 66 wounded and 918 captured. Americans lost 4 killed, 8 wounded, and 5 frozen to death during the march from the river. The Battle of Trenton is considered the turning point in the American Revolution by many historians. Thanks to this win, American morale soared, recruitment improved and the long grinding war continued until the British surrendered at Yorktown in 1781. Trenton was Washington’s Christmas present for a nation that didn’t yet exist. For a quick overview of the war, see A Guide to the Battles of the American Revolution, by Theodore P. Savas and J. David Dameron (2006). 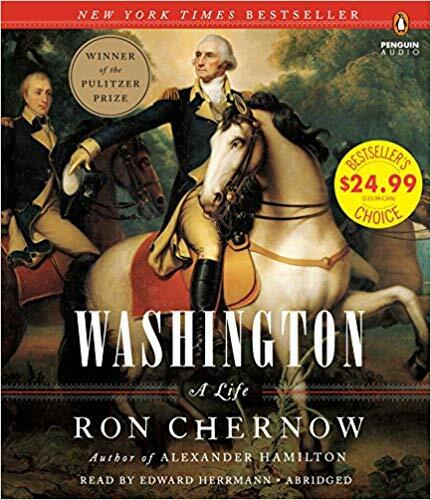 Of the many biographies of George Washington that I’ve read, my current favorite is Washington: A Life, by Ron Chernow (2010). Chernow also wrote a biography of Alexander Hamilton that inspired Lin-Manuel Miranda’s musical. Early in the morning on December 29, 1890, cavalrymen from the U.S. Seventh Cavalry descended on a group of Lakota (Sioux) Indians camped in a ravine at Wounded Knee, South Dakota. The cavalrymen had been ordered to confiscate all the weapons in the encampment. The Lakota were Ghost Dancers, practitioners of a new religion sweeping through Indian Country. They were camped in the ravine because it offered shelter from the winter weather. The day before, they had surrendered to the cavalry troops after fleeing violence at a nearby reservation. The cavalrymen upended the Lakota shelters and scattered the contents in their search for weapons much like a modern SWAT team searching the premises of suspected violent felons. 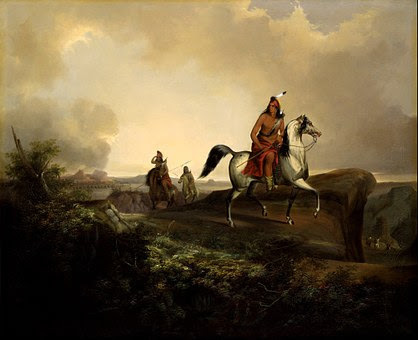 As two cavalrymen tried to take a gun from an Indian, the gun fired. No one was hit. But four Hotchkiss guns set up on the rim of the ravine, which fired one shell per second, opened fire at point-blank range. Most of the Lakota men died fighting a hopeless delaying action while their women and children tried to escape. 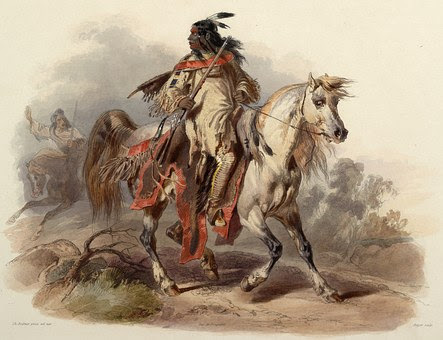 Some Indians who escaped the bloodbath in the ravine were chased across the prairie and gunned down. The cavalry lost 30 dead, and 18 soldiers received the Congressional Medal of Honor. Estimates of the Lakota dead vary from 150 - 300, mostly women and children. Most Americans were more proud of the fighting spirit of the cavalrymen than appalled at the death of Indians. Why did the cavalry use excessive force against a group of half-starved Indians? Horrific violence doesn’t happen in a vacuum, so it helps to look at what was happening in America. In 1890, the national census confirmed what many Americans already feared about the country’s demography. A third of the population consisted of Southern and Eastern European immigrants most of whom were Catholic. Adding these darker-skinned Europeans to the Hispanics in Western states and blacks in the South meant America was becoming browner—and less of the white Protestant country it identified as. By 1890, more Americans were living in cities and working on the factory floor than living in the countryside working on farms, which challenged America’s identity as a society based on agriculture. Most Americans were also poorer due to the Panic of 1873, a financial meltdown caused by corrupt Wall Street financiers. Indebted farmers screamed for relief from banks. Factory workers struggled to protect their jobs and wages. The Robber Barons of the Gilded Age used some of their obscenely huge profits to hire company thugs to kill union organizers and fixers to ensure politicians didn’t look too closely at their businesses. The Middle Class found their financial and social standing squeezed on all sides. America was falling apart. Reform-minded Americans decided to save America by integrating all the disparate pieces. An example that still exists is the Pledge of Allegiance, which was created in 1891 to integrate immigrant children. Unfortunately, reformist zeal to assimilate the disparate pieces smacked into another American tradition: racism. And that brings us back to the Lakota Ghost Dancers at Wounded Knee. Reforming Americans had long since decided that Indians had to be assimilated because Indian culture was inferior to white culture. They were frustrated that it was taking so long. Then a new religion swept through Indian Country in 1889 – 1890. The Ghost Dance emphasized peaceful relations with whites, working for wages, education, and a belief in a better world to come. Ghost Dancers mixed Christian practices with traditional beliefs. American reformers were appalled. The Indians weren’t assimilating; they were indulging in a religious cult and they needed to be stopped. The military also had an agenda. By 1890, the Indian Wars were officially over and Congress was threatening to cut military appropriations. The Army needed to prove it was still needed, and a quick round-up of rebellious, non-assimilating Indians was the perfect opportunity. Racism, cultural chauvinism and religious freedom created an American tragedy. There are many books on Indian-white conflicts. 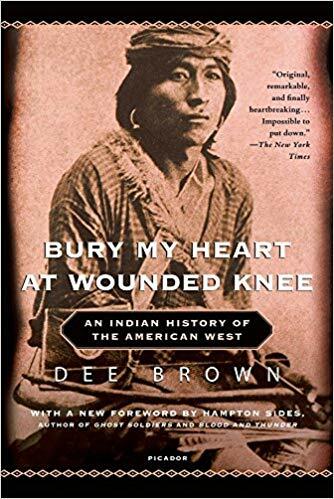 A perennial bestseller, Bury My Heart at Wounded Knee by Dee Brown (1971), is credited with changing white Americans’ perception of Indians. A recent addition to discussions about the Ghost Dance is God’s Red Son by Louis S. Warren (2017). Greed is good, proclaimed Gordon Gecko in the movie Wall Street and Jacob Fugger would have agreed. Fugger was born into a merchant family in Augsburg, Germany in 1459. His father died when Jacob was 10 years old and his mother took over the family business. When Fugger was in his late teens, his mother sent him to Venice to learn about banking. Venice was the Renaissance equivalent of the financial wizardry in today’s London or New York. Fugger used the skills he learned to become the biggest competitor of the Venetian bankers. No banker would lend money to Sigmund because he had a habit of defaulting. Fugger could have lost every cent he had and most of his family’s wealth if Sigmund defaulted. So Fugger demanded collateral, a silver mine at Schwaz, Austria. When Sigmund inevitably defaulted after botching the war, Fugger took over the silver mine. Under Fugger’s management, the mine eventually produced 4 of every 5 tons of European silver and made him fabulously wealthy. Fugger became the lender of choice to the Spanish Habsburgs and to the Pope. He provided the loans that Charles V, King of Spain, used to buy the title of Holy Roman Emperor. Pope Leo X used Fugger loans to fund his massive construction projects in Rome. Of course, all those loans had to be repaid. Charles V made Fugger an Imperial Counselor, which elevated a peasant to the aristocracy and granted him business monopolies. Pope Leo X lifted the ban on usury or charging interest on loans which allowed Fugger to make more money. Every cardinal and bishop that had to buy their office usually financed with a Fugger loan. Most critically, Leo X sold indulgences which allowed the devout to buy an exemption from punishment in purgatory. It all boiled over in 1517, when Martin Luther nailed his 95 Theses to the Worms church door, starting the Protestant Reformation. In 1525, the German Peasants’ War erupted against social and economic inequities. Fugger funded the counter-revolution which crushed the rebellion at a cost of about 100,000 lives, mostly peasants. Like most wealthy people, Fugger became a philanthropist. He is best known for building the Fuggerei, a housing project for the working poor. 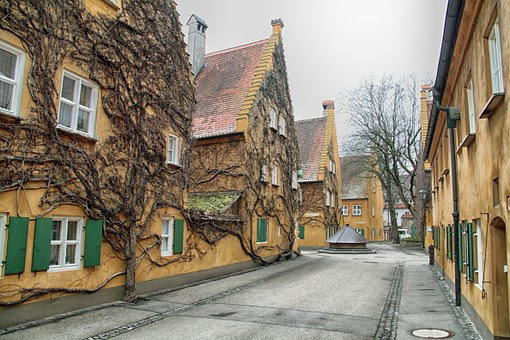 The Fuggerei is now the top tourist draw in Augsburg, Germany, having been rebuilt after World War II with Fugger money. Fugger was once asked how long he planned to work. He replied that no amount of money was enough for him and he would continue making a profit as long as possible. At his death in 1525, his wealth equaled almost 2% of European economic output. But money can’t buy you love. As he lay dying, his wife was with her lover and his nephews were scheming to cut her out of the inheritance. His nephews’ descendants continue to live off the proceeds of the wealth they inherited. For more information about Jacob Fugger, see The Richest Man Who Ever Lived by Greg Steinmetz (2015). It’s a lively, quick read. The Ottoman Empire was founded in 1299 and lasted until 1922 when Ataturk dissolved it to create modern Turkey. In all those centuries, it only had one queen: Roxelana (c. 1503 - 1558). Roxelana was most likely born in modern day Ukraine. Ukraine, Crimea, and Poland were constantly at war, and a common practice was to abduct children to sell into slavery. Roxelana was kidnapped as a teenager and sold or traded to the sultan’s household to be trained as a concubine of the sultan. At the age of 17, she became a concubine of Suleyman (also spelled Suleiman). Roxelana was an exceptional woman—an astute politician who learned how to survive harem and court politics. She convinced Suleyman to give up all his other concubines and marry her. They married in 1536 and lived monogamously until her death. They were devoted parents to their five sons and one daughter. After Suleyman (1494 – 1566) became sultan, he designated Roxelana as his queen. She became his eyes and ears at the court while he was away on military campaigns. To the east, Suleyman fought the Safevid Empire (modern Iran) for control of what is now Iraq. In an earlier version of today’s wars, the Ottoman Sunnis fought the Shias of Iran. In the west, Suleyman fought to expand Ottoman territory in Eastern Europe. The Ottomans controlled much of modern Bosnia-Herzegovina, Bulgaria, Croatia, Greece, Hungary, Serbia and Slovenia. The legacy of the Ottoman occupation was an underlying cause of the vicious fighting during the 1980’s when Yugoslavia tore itself apart. Roxelana and Suleyman represent a cultural high point for the Ottoman Empire. He is known to history as Suleyman the Magnificent. One of his many achievements was revising the legal code which had a side effect of increasing social and political tolerance of Christians and Jews. They also built extensively. 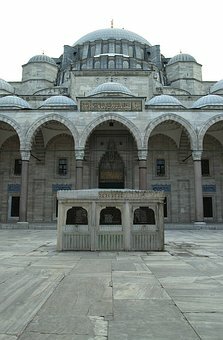 His most famous monument is the exquisite Suleymaniye Mosque in Istanbul, where he and Roxelana were eventually buried. 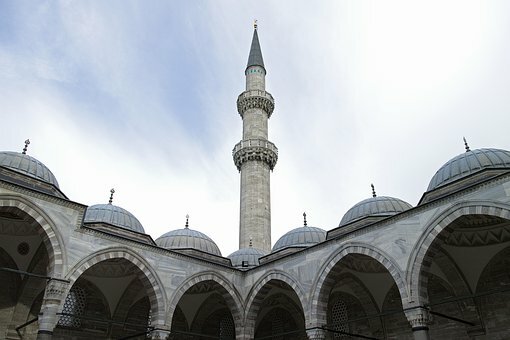 Roxelana was the first female member of the Ottoman court to build in Istanbul. Her most famous project is the Hasecki Sultan Complex, consisting of a mosque, a soup kitchen, elementary school (madrasa), and a hospital. The complex was restored in 2010 – 2012 and is now a tourist attraction. After the deaths of Roxelana and Suleyman, their son Selim reverted to usual Ottoman practices. He murdered his remaining brothers and nephews so that they couldn’t threaten him or his sons. His sons were expected to fight to the death for the right to lead the empire. He also dispensed with a queen and ensured that no concubine would have more than one son as royal sons were a source of power in the empire. 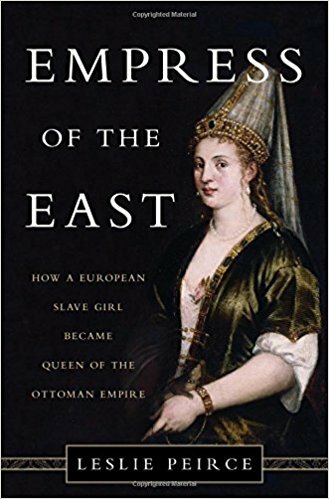 For more information on the exciting and improbable life of Roxelana, see Empress of the East by Leslie Pierce (2017). I found the book a bit repetitive and disorganized at times but a fairly quick read nonetheless! In 1742 or 1743, the Jemison family emigrated from Ireland and settled on the American frontier, about 10 miles from present-day Gettysburg, Pennsylvania. They brought along a baby, Mary, who was born aboard ship during the journey. In the 1740’s and 1750’s, the American frontier was the battle zone between Britain and France as they fought to control what is now the U.S. and Canada. Since the British and French military forces were limited, they looked to their settlers to be a colonial militia. They also formed alliances with Indian tribes by promising to keep white settlers out of their tribal lands. Each side turned a blind eye to the atrocities committed by their allies, white and Indian. In 1758 when Mary Jemison was about 15 years old, her family’s farm was attacked by Shawnee Indians and their French allies. Mary’s family was killed in the raid. She later saw their scalps drying by a fire during her march into captivity. Near Fort Duquesne (modern Pittsburgh, PA), the Shawnee traded Mary to two Seneca women who adopted her to replace a deceased brother. Replacing a dead relative with a captive was a common practice. Captives could also be used as hostages to negotiate limits on land grabs, or as ransom for weapons, or simply as a terror tactic. The Seneca, Mary’s new family, were called “The Keepers of the Western Door” because they controlled much of western New York State. They were the largest and some believe the fiercest tribe in the Iroquois Confederation. The Seneca tribe is still based at Salamanca, N.Y. In 1763, the Seven Years War (aka French and Indian War) ended and each side negotiated a return of their captives. Mary was taken to Ft. Duquesne, renamed Ft. Pitt (guess who won the war), to talk to the British negotiators. But at the last minute, her Seneca sisters decided they couldn’t bear to lose Mary and took her home again. Mary lived with the Seneca tribe for the remainder of her life. Her first husband died a few years after they married leaving Mary distraught with grief. Like many grieving spouses, she eventually recovered and remarried in 1765. Her second marriage lasted 50 years. Mary was offered another chance to leave the tribe in the 1780’s after the American Revolution. But she feared that white people would despise her and her half-Indian children. Besides, in Seneca society, women had political, economic, and social powers that white women would not gain until the 20th century. Women can understand why Mary stayed with the Seneca, even if her male biographer didn’t get it. Mary died in 1833 at the age of 90. Her descendants live in Ontario, Canada, and upstate New York, some as Seneca and some as whites. 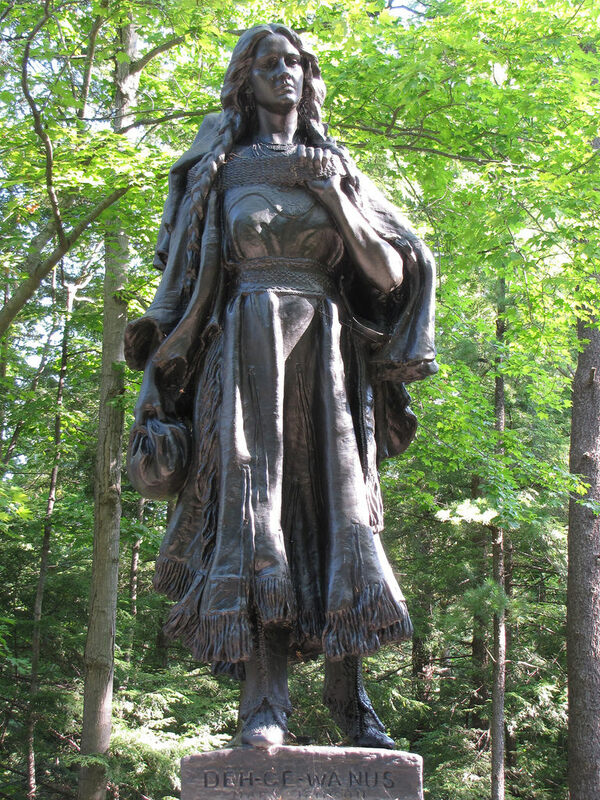 A memorial to her can be seen in Letchworth State Park, south of Rochester, NY. Mary’s story is known outside the Seneca community because she told her story to James E. Seaver, a local doctor, in 1823. A Narrative of the Life of Mrs. Mary Jemison, by James E. Seaver, is still in print. I recommend the version edited by June Namias which provides historical context for Mary’s life. A young adult version is Indian Captive: The Story of Mary Jemison by Lois Lenski. So Who Won the Battle? Political spin is not new. One of the earliest examples comes from the Bronze Age battle of Qadesh. Qadesh was an ancient city-state on the Orontes River near Homs in modern Syria. In 1300 B.C. Qadesh was at the crossroads of three empires. The Mitanni Empire covered most of the modern Kurdish areas of Turkey and Iraq. The Hittites controlled the rest of modern Turkey. The Egyptians controlled modern Lebanon and Israel including the ancient Hebrew kingdom. In 1300 B.C., Hittite king Muwatallish had just defeated the Mitanni and wanted to secure his southern border against Egyptian expansion. Pharaoh Rameses II (Rameses the Great) was in his early 20’s and itching to prove he was a greater military leader than his father. Both kings marched toward their mutual border dreaming of military glory. In a sort of comic opera, they met accidentally at Qadesh. Muwatallish arrived first and set up camp while he searched for the Egyptians. Rameses arrived at Qadesh with his army strung out miles apart. He had divided his army into four corps so that they would have sufficient forage and water for their animals. As Rameses approached Qadesh a couple of local guys said the Hittites were still far away, rather than just across the river. Rameses realized the local guys had lied to him when his guards caught a couple of Hittite soldiers hiding by the river watching them set up camp. Under torture, the Hittite soldiers admitted that their army was across the river on the opposite side of Qadesh. Rameses immediately sent word to the closest of his supporting corps to pick up the pace. As the corps approached Qadesh it was hit in the flank by the Hittites. In a Bronze Age version of a panzer attack, the Hittite charioteers drove into the Egyptian infantry. Egyptian soldiers who weren’t trampled or speared ran in all directions. The Hittites regrouped to attack Rameses’ camp. The Hittites were on the verge of winning when they were distracted by shiny baubles. 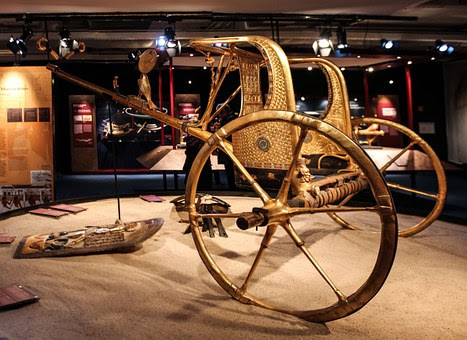 The Egyptian army traveled with a lot of bling, including a gold throne for Rameses. The Hittites were so busy looting the camp they allowed Rameses to escape and organize a counterattack. 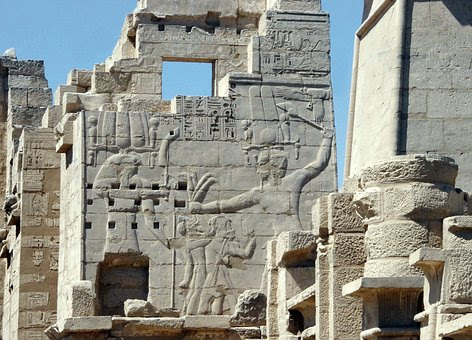 Ramses led the counterattack, routing the Hittites who were worn out from all their fighting and looting. As the battle swung in favor of the Egyptians, Muwatallish ordered a diversionary attack to allow his disintegrating army to escape back across the Orontes River. Another Egyptian corps arrived on the battlefield to defend the diversionary attack. At that point, everyone was exhausted so Muwatallish and Rameses decided to give peace a chance. They met long enough to agree on the border for their respective empires. 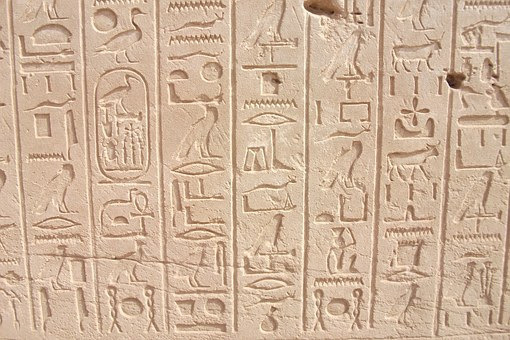 Egypt was given control of Qadesh. Then Muwatallish and Rameses packed their kit bags and left. Back home they each created an official account of the battle. Naturally, each man claimed a great victory due to his brilliant military leadership. The battle of Qadesh is discussed in many military anthologies although it offers little of military significance. Qadesh is significant because it’s the earliest battle for which we have an account written by each side. That allows us to compare versions of the “truth” and spot the political spin. My source for the battle is the Osprey Military Campaign Series, Qadesh, 1300 BC: Clash of the Warrior Kings, by Mark Healy (1993). Alcibiades (c. 450 - 404 BC) takes the prize as the most traitorous weasel of all time. His charm attracted people even as his ego and self-dealing meant no one trusted him. His machinations may have single-handedly prolonged the Peloponnesian War (431 - 404 BC) between Athens and Sparta. Sparta wanted to maintain its dominant position against the rising power of Athens. Both city-states prepared for war, seeking allies while also negotiating with each other. Into this diplomatic dance stepped 19-year-old Alcibiades. Alcibiades came from a prominent Athenian family. He wanted to use his family’s standing and connections to take credit for any peace deal between Athens and Sparta, but the Spartans ignored him. So Alcibiades whipped up anti-Spartan feeling in Athens while simultaneously secretly promising the Spartans that he would help convince the Athenians of their good intentions. He then betrayed each side, stirring up so much mutual distrust that Athens and Sparta went to war for almost 30 years. Silver-tongued Alcibiades became an Athenian ambassador traveling from city to city whipping up support for Athens. He developed a network of friends in all the cities he visited as ambassador, including Sparta. But he also lived the ancient world’s version of “Lives of the Rich and Famous” spending money extravagantly. His arrogance and egotism created enemies among all those he betrayed. Eventually, his Athenian enemies decided to get rid of him by accusing him of blasphemy. He was ordered to return to Athens where his enemies intended to give him a fair trial before executing him. Alcibiades wasn’t stupid; he went into exile. To buy time, he ratted out his co-conspirators in a separate plot, betraying them to the city-state that they were conspiring against. Alcibiades moved to Sparta where he convinced them that he had inside military information about Athens, and so they let him live. Alcibiades was a serial conspirator. He even conspired with the Persians, ignoring the fact that the Persian Empire was the biggest external threat to the Greek city-states. His ultimate goal remained the same: to be a hero in Athens. He got his chance during the Oligarchic Coup of 411 BC when the democratic government in Athens was overthrown. Playing everyone against each other, Alcibiades eventually negotiated his return to Athens as the hero who saved them from the oligarchs. His death is shrouded in mystery. Some sources say he was murdered by a Spartan hit squad. Coincidentally, his death occurred about the same time the war ended. 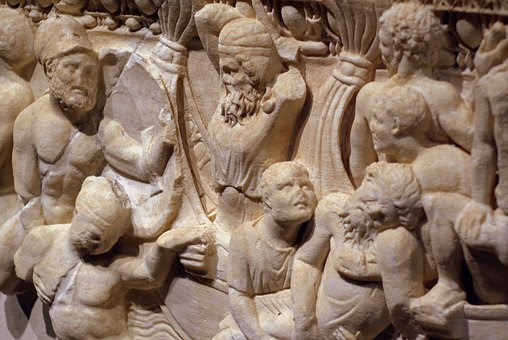 The adventures of Alcibiades are detailed in History of the Peloponnesian War by Thucydides. The Penguin Classics translation includes maps and notes providing context for the events. It is easy to fight an opponent that we think is stupid, brutal or duped into supporting a bad government. But that image is seldom accurate, as was the case with a World War II German officer named Hans von Luck. Colonel Hans von Luck was always interested in other cultures and studied the classics, including learning Latin and Greek. He traveled extensively around Europe in the 1930’s and became fluent in French, Italian, English and Russian. He also had a knack for making friends wherever he went. Luck followed family tradition by becoming a soldier. His officer training included infantry tactics taught by Erwin Rommel. (The textbook Infantry Attacks by Rommel is still in print). He later served under Rommel in North Africa and in France as an officer with the 21st Panzer Division. In 1943, Luck was sent on a special mission to plead with Hitler to withdraw the Africa Corps from North Africa before it was trapped between the British and American forces. Hitler refused and 130,000 German and Italian troops surrendered to the Allies soon after. (Most of them were shipped to POW camps in the U.S.). Luck was transferred to Northern France with the re-constituted 21st Panzer Division to prepare for the expected Allied invasion. On June 6, 1944, Luck commanded forces defending the Pegasus Bridge, the only bridge over the Orne River north of Caen. British airborne troops led by Major John Howard attacked the bridge in order to protect the British flank attacking toward Caen. For most of the battle, British and German soldiers held opposite ends of the bridge and fought at point-blank range. Eventually, Luck’s troops withdrew. On another occasion, Luck desperately needed artillery support when he found an anti-aircraft battery with its 8.8cm gun pointing at the sky. Luck asked the battery commander to lower the barrel and fire at the advancing enemy. The commander refused; his 88 was intended for use against aircraft, not ground troops. Luck won the argument when he drew his Luger, shoved it in the commander’s face and invited the crew to lower the gun barrel and begin firing. Luck ended the war on the Eastern Front. He spent five years in Russian POW camps before being released in 1949. In the 1970’s and 1980’s, Luck was a guest of the British Staff College’s “battlefield tours” used for teaching young officers tactics by touring the Operation Overlord battle sites. He often toured with his friend John Howard so that they could tell both sides of the story of Pegasus Bridge. 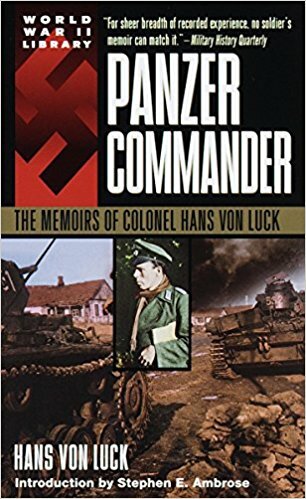 His memoirs are available in English as Panzer Commander (1989).